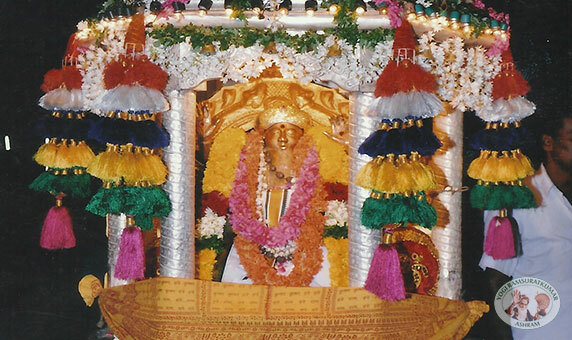 Opposite the Pradhan Mandir you would be seeing a building with shutters. 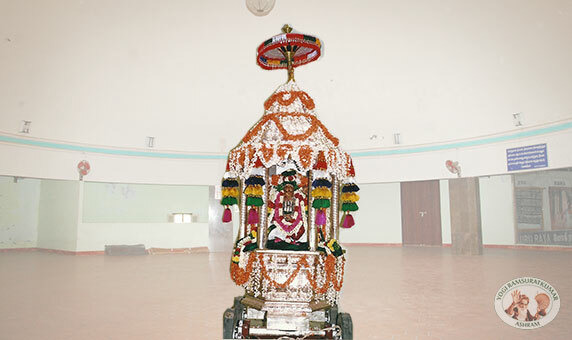 That houses the silver chariot donated by a devotee during Kumbhabhishekam of the Maha Samadhi shrine during June 2004. 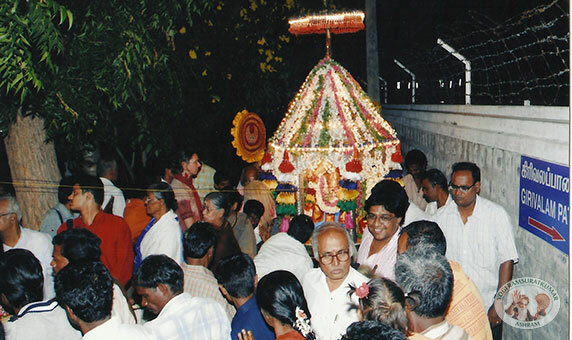 On festive days and on the days when the devotees contribute for this Seva, Bhagawan's Utsavar will be taken along the Ashram in this chariot, accompanied by Nadaswaram and chantings of Guru Nama.